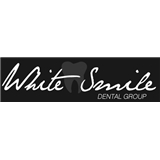 White Smile Dental Group (Los Angeles) - Book Appointment Online! At White Smile Dental Group you will be treated based on your individual needs and not based on your insurance. At White Smile Dental Group we believe treatment of your teeth should be as individual as you are. We encourage you to let us know about your concerns and questions, and we will present you with treatment options and financial options that will suit your individual needs. I was seen promptly. Everyone in the office was friendly and helpful. Dr. Zorapapel was thorough with the cleaning and also quick. All around good visit to the dentist.